If you haven’t done so already, check out the book review and giveaway post for the book Design Your Own Crochet Projects. 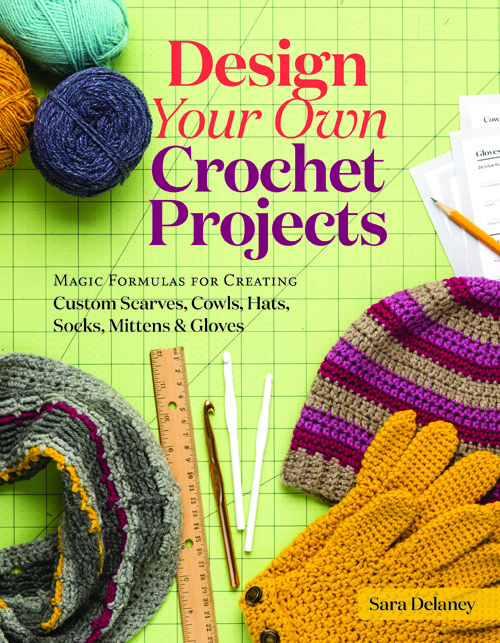 The book is great for anyone who is interested in designing crochet accessories and will walk you through the process with a few patterns for hats, scarves, mittens, socks, and much more. Click here to visit the giveaway page! Be sure to leave your entry/comment on the giveaway post and not this post. A winner will be randomly selected and announced on November 16, 2017. This entry was posted on Friday, November 10th, 2017 at 12:00 AM by Rachel Choi	and is filed under News. You can follow any responses to this entry through the RSS 2.0 feed. You can skip to the end and leave a response. Pinging is currently not allowed. Besides the math I am really excited about the toe up sock section. I love knitting toe up socks and to crochet them would really be cool. I also love dying my own yarn so to know I am dying enough for a project the first time is what I am really excited about with this book.